This week I’m attending CeBIT in Hannover, Germany. Below are some pictures, especially about everything related to IBM Bluemix. 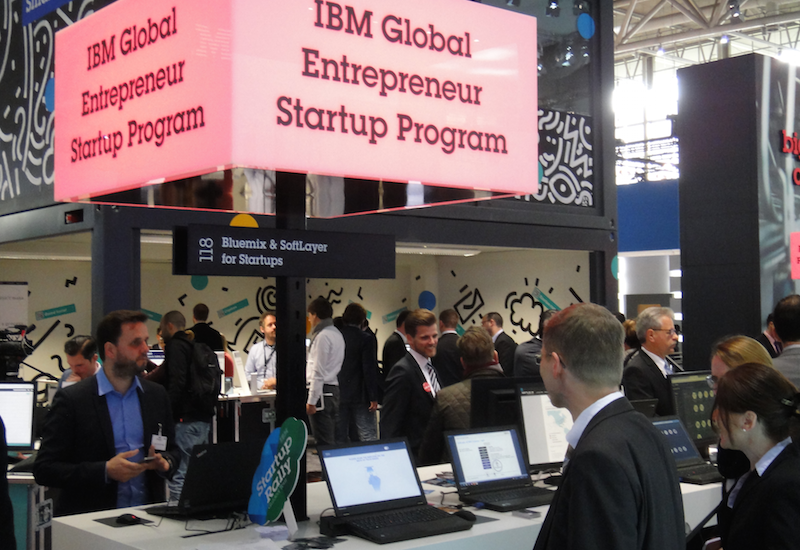 IBM has a huge showcase area in hall 2 covering cloud, Watson, mobile and many other topics. This is a picture my colleague Tristan Reckhaus took from one of my sessions as part of the Developer World, the new meeting point for developers. 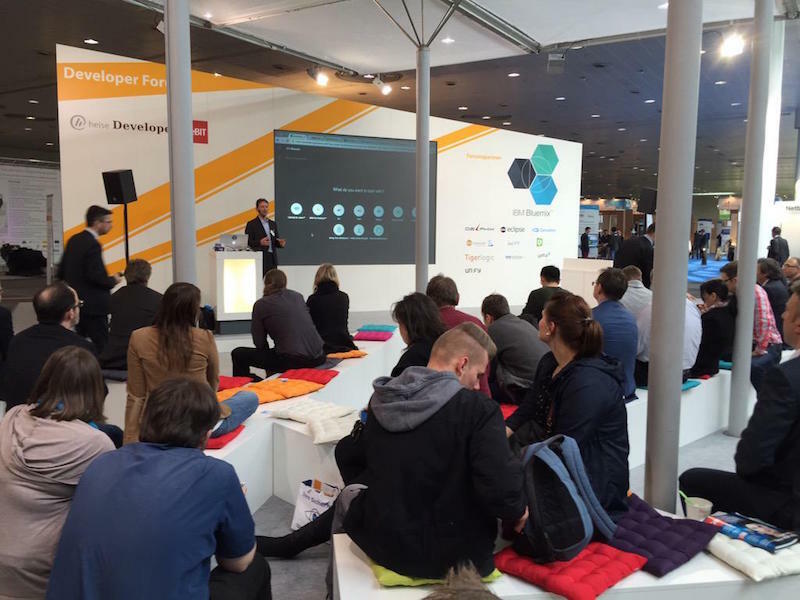 There are multiple booths where Bluemix is presented. 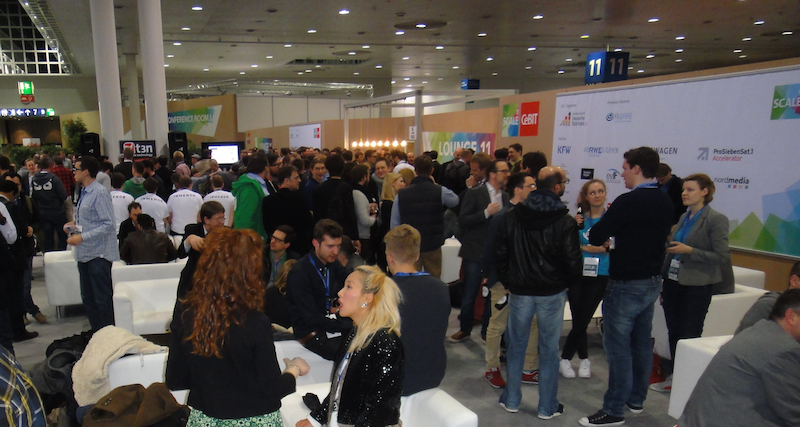 This one is in hall 11 for startups where Martha Cieslinska, Harald Uebele and I worked. This booth is in hall 2. 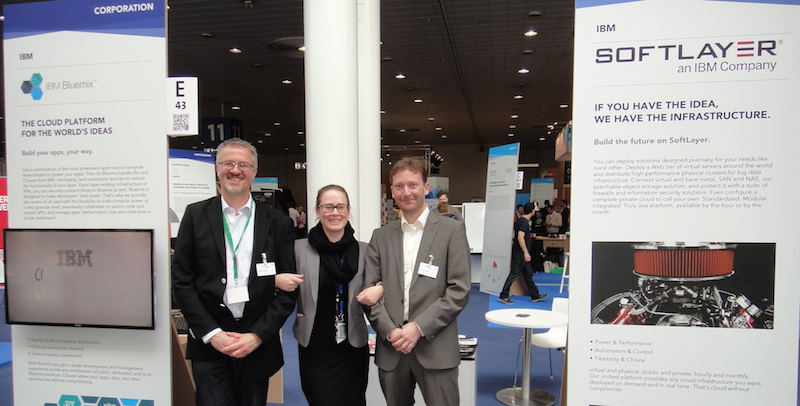 On Tuesday evening there were two parties sponsored by IBM Bluemix. This picture is from the first one directly after the expo. 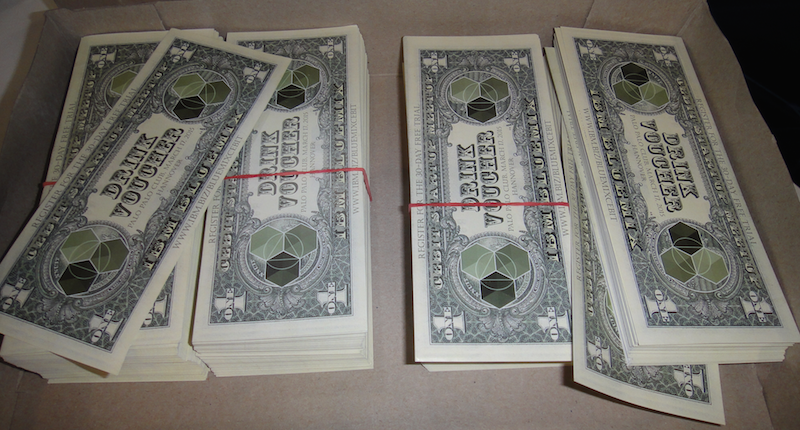 To get free drinks we gave out Bluemix dollars.